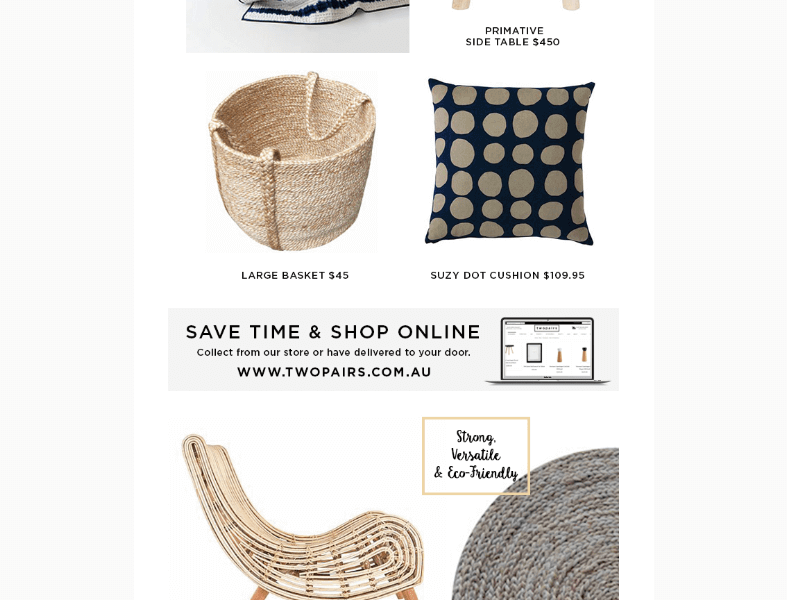 This gorgeous long newsletter was created for our client twopairs.com.au located in Adelaide. 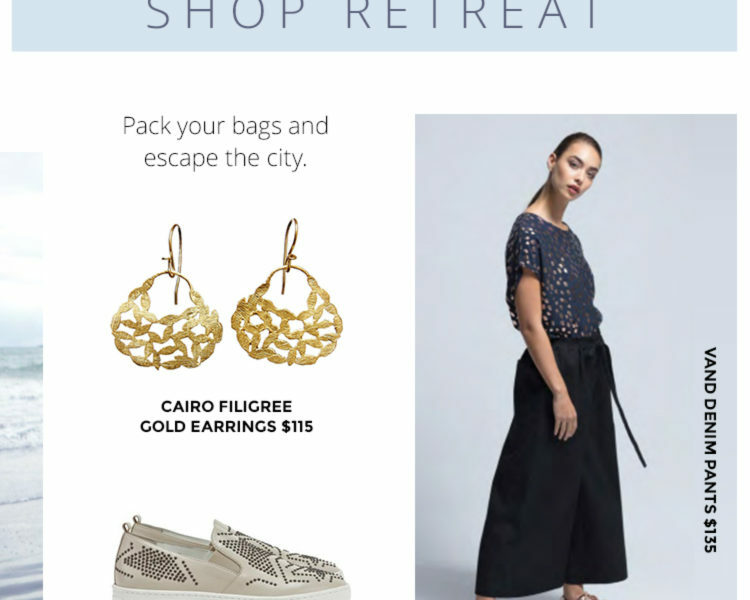 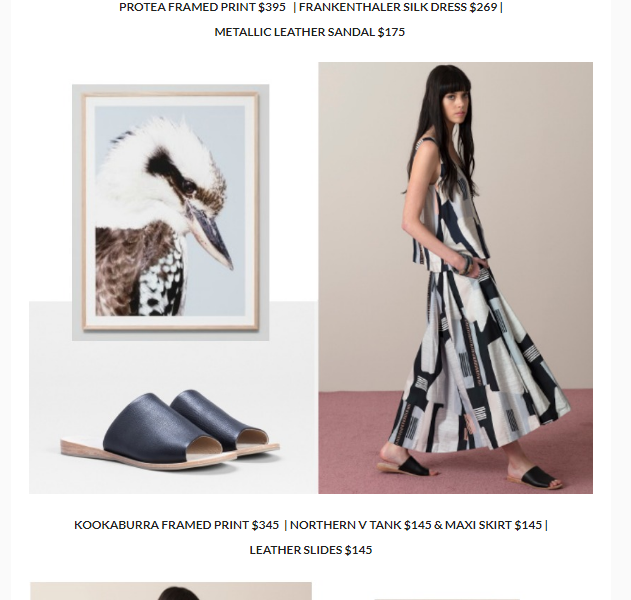 A boutique that has fashion and homeware this monthly newsletter was designed to feature as many of the new products that we could. 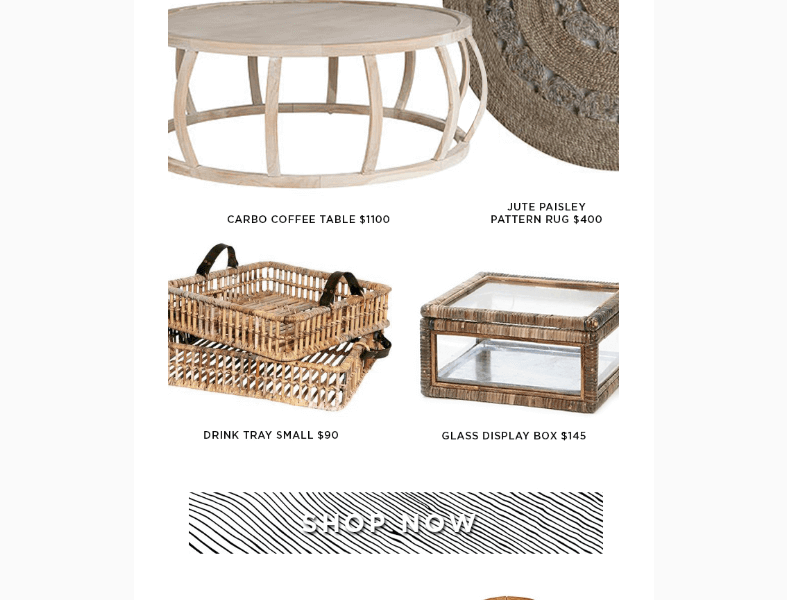 We also used call out circles to show a discount available for VIP members in the same colour tone as the call to action button. 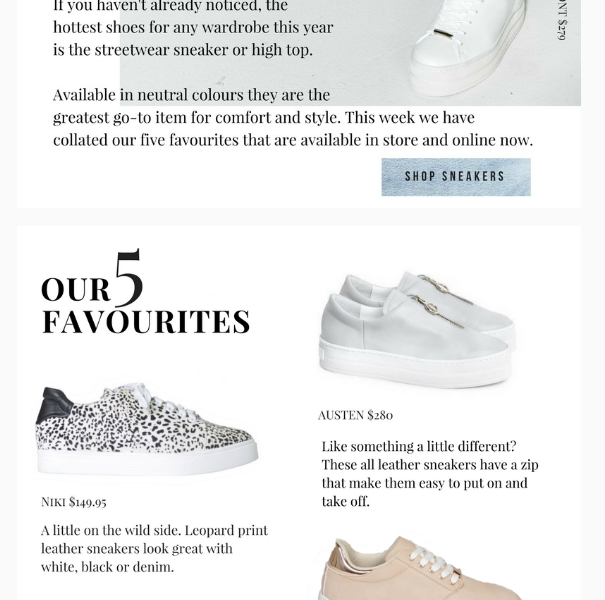 Ensuring we use products in the same colour tone makes the newsletter beautifully cohesive.